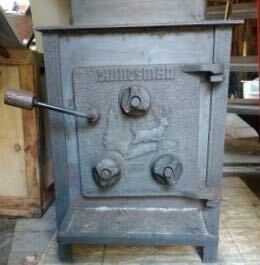 The Huntsman wood stove is an older pre-EPA wood stove produced with the popular "step style" design used by other stove manufactures during that timeframe. Trademarked by the Atlanta Stove Company in 1978 as a wood burning heater, the Huntsman closely resembled the Fisher wood stove which was another popular stove during the late 1970's. Constructed from welded plate steel and a cast iron door without any glass, the Huntsman stove was available in a couple different models which included both single and double door stoves. The stoves have a baffle system inside the firebox that redirects the fumes into the upper fire box where they then travel through a pipe called a "flue tube" that keeps the heat and gasses inside the stove longer, reducing the amount of heat loss up the chimney. It was actually pretty advanced for the time period, however compared to todays modern wood burning stoves and regulations, it's not nearly as efficient. To learn more, let's take a closer look at the various stove models and some of the advantages and disadvantages of owning a Huntsman stove. The Huntsman model 241 was one of the companies most popular wood stoves. Similar to the Fisher Mama Bear, the 241 can handle logs up to 24 inches in length and heat roughly about 1500-1700 square feet, depending on how air tight the home is. Designed with superior materials and craftsmanship, the stove is constructed of tight welded .250'' plate steel on the sides with .297" plate steel on the top of the stove. To adjust the air flow, there are 3 manually controlled knobs called draft regulators on the front of the door. By opening and closing the 3 knobs, you can effectively control how much air is drawn into the firebox, controlling the temperature of the fire. The two draft regulators on the bottom are used for a fast startup and the upper air regulator is used to supply secondary air to the firebox creating a more complete burn. If you're looking for an overnight burn, fill the firebox with quality hardwood and close the bottom two draft regulators. Next, open the top regulator about 1/8" by turning the knob about 1.25 turns. This will typically give you an overnight burn with enough coals to relight the fire in the morning. Adjusting the air into the stove takes trial and error. 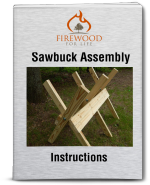 Depending on your home, quality of firewood and comfort level, over time you'll be able to figure out a good system that works best for you. Although the model 241 has been around for over 30 years, there are still many of the stoves being used today. It's a great stove and you can typically find a used one for sale online for about $100-$300 depending on the model and condition. All Huntsman stoves function with the same basic design principles and the main difference would be the size. The stoves are very recognizable by the Huntsman name on the front of the stove doors along with an image of a deer jumping over a log. Overall a Huntsman wood stove is a great stove. Capable of heating most mid sized homes, its quality construction and track record of happy customers makes this older stove something to consider. Since it's not an EPA certified stove, you'll burn more wood when compared to a modern EPA certified stove and if you're considering installing one in your home, you should check with your insurance company before hand to make sure the stove won't cause any complications with your policy. Also, since the stoves feature a solid cast iron door, you won't have an open view of the fire like you would with the modern day stoves that feature a glass door with a large viewing area. Whether you've purchased a home that already has a Huntsman wood stove installed or you're looking for a good, inexpensive stove to reduce your heating costs, these are great stoves and there's a reason why these 30 year old wood stoves are still being used today.